The Russian side’s remarkable victory, however, was still not enough to secure them a spot in the Europa League as they were pipped to third place in Group G by Viktoria Plzen. Feder Chalov put CSKA in front against the group winners and triple Champions League holders with a curling shot in the 37th minute and Georgi Shchennikov doubled the visitors’ advantage two minutes before halftime with a scrappy volley on the rebound. CSKA’s only two wins in the competition this season have come against the 13-times winners and they finished bottom of the group on seven points due to their inferior head-to-head record against Plzen, who beat AS Roma 2-1. “It was important to give the young players and those coming back from injury a chance to play but we did not expect this result,” Solari told reporters. 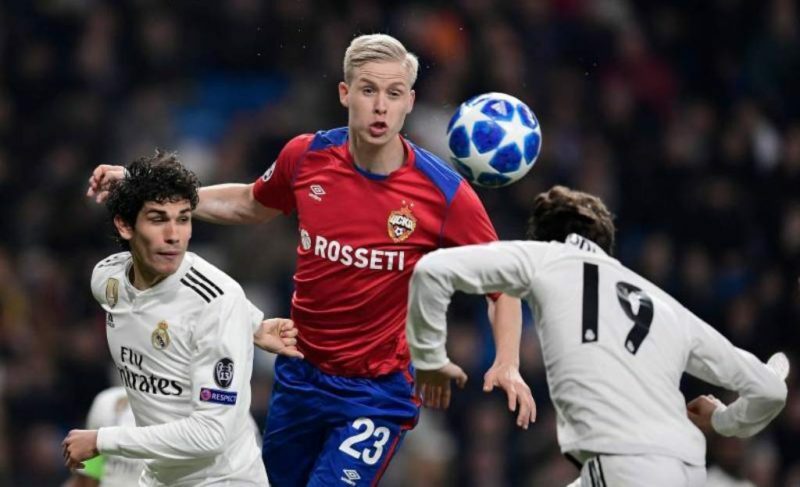 CSKA also won 1-0 in the Russian capital in October when Julen Lopetegui was in charge of the Spaniards, a result which sparked the beginning of the end for the Spanish coach’s brief spell in charge of Real.